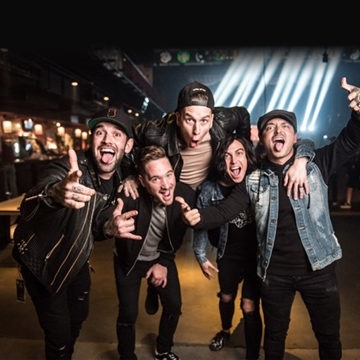 American rock band Sleeping With Sirens, are from Orlando, Florida and currently residing in Grand Rapids, Michigan. The band was formed in 2009 by members of For All We Know and Paddock Park. The quintet - Kellin Quinn [vocals, keyboards], Jack Fowler [lead guitar], Nick Martin [rhythm guitar], Justin Hills [bass], and Gabe Barham [drums] began nearly 10 years ago.